I got a 32" dynex that I stripped down for parts because of a cracked screen, and it still worked through that cracked mess. but obviously not watchable. I still have the dynex power supply, digital board, and t-con laying around. If you still have the parts, I would be interested in buying them. 817-504-3649, lynnkitts@msn.com. I work in Coppell. I have a 50px1d. I am a tech. I have sound and the red light changes to green and stays that way but no picture. I tried replacing the y sustain, put the old one back and at a later date replaced the top bottom y driver boards.... still have blank screen..
What should I do next? send boards to you for verification.. Could it be a logic board and all works, green light and sound? I just called Dynex because I'm having issues with my Dynex DX-L32-10A's tuner too. They said that you could go ahead and order replacement parts through them, but I didn't ask to see how much they cost. Granted, they're probably pretty expensive, but if you really like the television, I suppose it's worth it. I'm having nightmarish trouble fixing my Dynex, model DX-LCD42HD-09. Issue was, red standby light, nothing else. After searching, probably the PS Board. 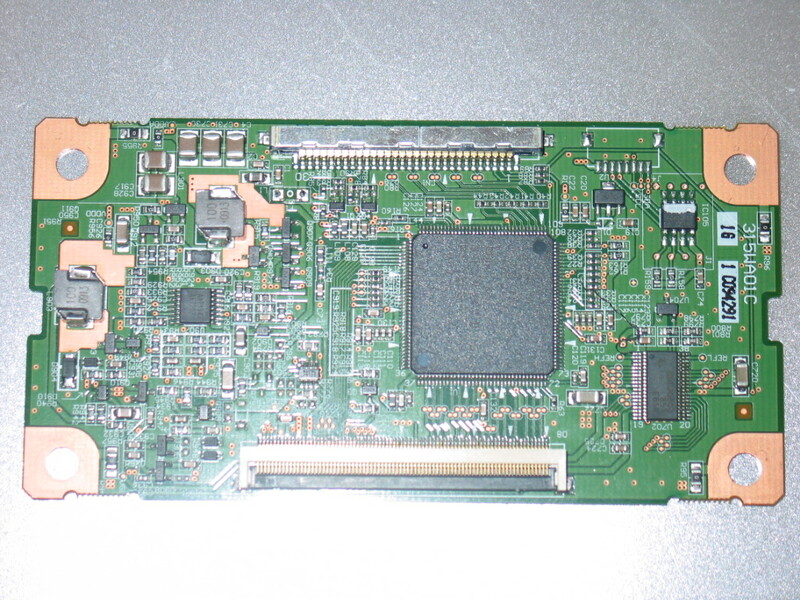 Looked at it, and every other board in the TV, and nothing *seemed* bad/burnt/burst (capacitors etc.). Took a gamble and ordered a PS Board anyway. Received, installed, no change at all. Considered bad Main Unit Board. Again, gambled and ordered new 1 (the ONLY ONE on the internet). Installed with old PS Board, turned on, GREEN STANDBY LIGHT YAY! However, no picture or sound. (curse violently) Open it up, install new PS Board, thinking with both new boards installed, surely it would work. RONG. RONG RONG RONG. (begin throwing anything/everything in sight) Same issue, green standby, no pic/sound. What. The. F*ck. I HATE MY LIFE/THIS TV/EVERYTHING.